Keith Finch founded Rapid Haulage in 1977 with just one vehicle. Now, the Rapid Group has grown to consist of a fleet of over 100 vehicles. Rapid Haulage has diversified into different fields within the transport industry as it has grown. Today we transport everywhere from local and intrastate to interstate and international deliveries; we transport refrigerated goods, general cargo, oversize loads and dangerous goods; we store and distribute everything from tinned food to motor vehicles and our fleet contains utes, road trains and everything in between. Specialised equipment and experienced staff allow the Rapid Group to offer an extensive range of services without compromising on quality. 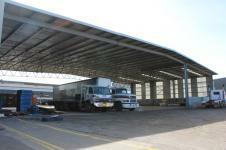 In 2007, Rapid Haulage expanded into a second transport depot, also located on Cormack Road, Wingfield. 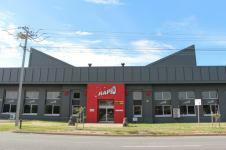 Due to continued growth and expansion, we moved both Cormack Road depots into our current premises located at 214 Victoria Road, Largs Bay SA in 2011. As with our previous premises, the Largs Bay depot is Australian Quarantine and Inspection Services (AQIS) approved, and also Australian Customs Service 77G Depot and Section 79 Warehouse Licensed, for goods that require bond storage. With over 25,000m2 space including 2000m2 secure undercover storage, Largs Bay will enable us continue our growth into the future while also streamlining processes due to sharing the resources that we previously had spread out over various depots. 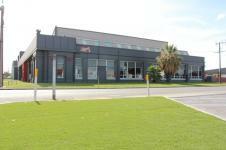 In November 2012 Rapid Refrigerated Transport moved into a new 30,000m2 depot at 48 Lipson Street Port Adelaide which offers approximately 6,000m2 of refrigerated storage facilities. Our fleet is serviced regularly by our on site mechanics. We have one of the largest undercover Quarantine Approved wash bays in South Australia, and provide fumigation and tailgate services at our premises if required. At Rapid Haulage, we view our customers’ success as important as our own, which is why we are so committed to providing outstanding service. We are flexible enough to meet your requirements as they change, and even have purpose built equipment for some of our long term contracts. Ongoing training and development are a high priority at Rapid Haulage, enabling our experienced staff to provide you with accurate advice and superior service for all of your transport needs. We train our staff in the most efficient methods available in all aspects of the transport industry. With a total of 60 full time staff, Rapid Haulage is dedicated to providing our customers with the best service possible.